A family in Gaza "executed" one of its own members Friday for passing on information to Israel that led to the deaths of three Hamas militants, Palestinian sources said. Hamas, which rules the territory, held Ahmad Said Barhoum for several months without trial before handing him over to the family, several of whose members belong to the Islamist movement. Witnesses said Barhoum was shot dead in an open area of Rafah in southern Gaza shortly after the handover. The shooting was attended by family members of the three Hamas militants killed in an Israeli air raid in the 2014 Gaza war with Israel. One of the three killed was Mohammad Barhoum, a cousin of the alleged collaborator. 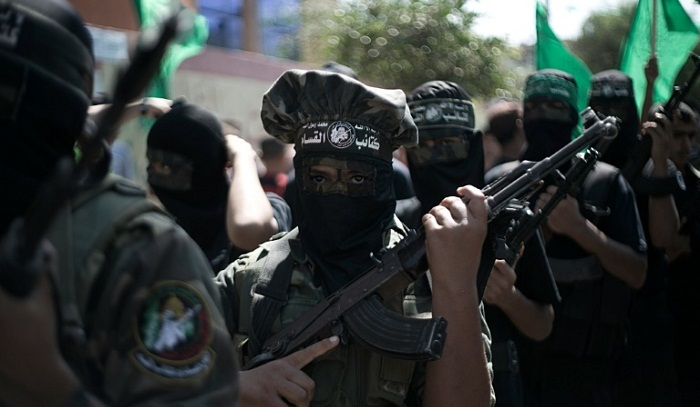 All were militants of Hamas's armed wing, the Ezzedine al-Qassam Brigades. "We carried out the punishment against our son Ahmad Said Barhoum after having been assured without a shadow of a doubt that he was implicated in the assassination" of the militants, the family said in a statement. Hamas, for its part, welcomed what it called "the execution of this criminal". According to the Palestinian Centre for Human Rights, Hamas has carried out more than 20 executions and condemned to death over 100 others since it seized control of Gaza in 2007 from rival faction Fatah. Its execution of Palestinians accused of collaborating with Israel has stirred international condemnation.